The Samsung Note 8.0 has been touted as a fierce competitor to Apple's iPad mini. Here is how they compare on specs. 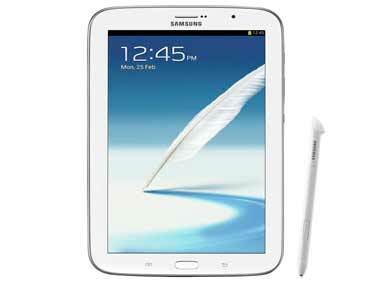 Will Samsung Galaxy Note 8.0 with S-Pen take down Apple's iPad mini? Samsung announced on Sunday in Barcelona that the Galaxy Note 8.0 will have an 8-inch screen, putting it very close in size to the Apple's tablet, which launched in November with a 7.9-inch screen.